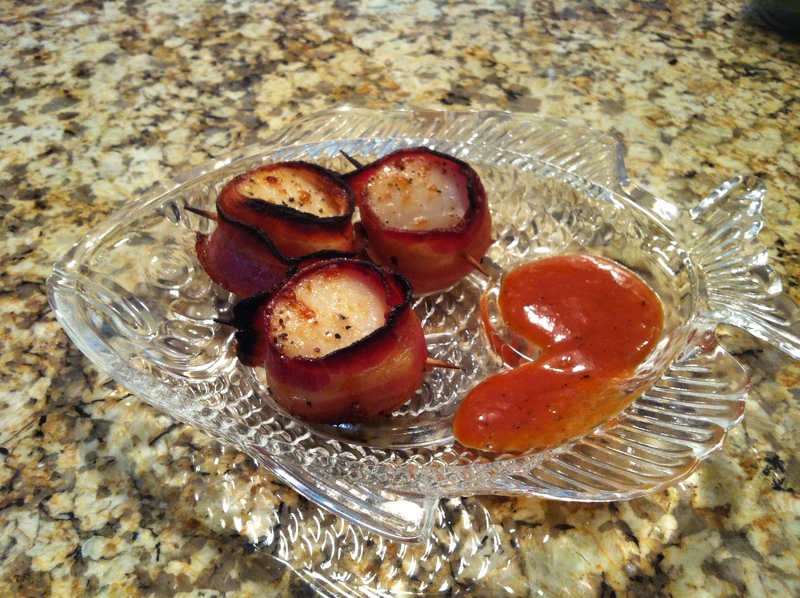 2) Wrap Scallops in bacon and secure with a toothpick. place small piece of butter on scallop and season with salt and pepper. 3) Broil scallops for ~10-15 minutes until they are done.